In part one of Iwata Asks: The Wonderful 101, I asked Kamiya-san, the director of The Wonderful 101, about his thoughts and experiences that led him into his involvement with game development and where he is today. Today, we’ll be joined by Inaba-san from PlatinumGames1, and members of the Nintendo staff so we can talk about the content of the game. Thank you for staying with us for this one too, Kamiya-san.1. PlatinumGames Inc.: A video game developer founded in 2006. The Wonderful 101 launched in Europe on 23rd August, and the company is currently developing Bayonetta 2 for Wii U. Head office: Osaka. Yes, of course. I feel a little better with more allies. Now then, could the three of you introduce yourself? Thank you for waiting for so long, Inaba-san. No problem! (laughs) I’m Inaba, a producer at PlatinumGames. I talked to you in Iwata Asks: PlatinumGames. Yes. I’m glad to talk to you again today. I’m Matsushita from Nintendo. I worked as a director that oversaw the project. I’m Yamagami from Nintendo. I work as a producer. Yes. Thank you for meeting with me, gentlemen. 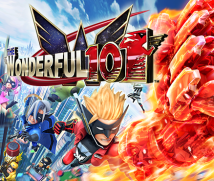 Now that we’ve got the group together, could you tell me how The Wonderful 101 started? I knew you were going to ask that question… (turning to Yamagami-san) Where should we start? Given where we are, why don’t you just start off with how you felt when you submitted your project plan? Then I guess we can’t get started unless we talk about that project plan. That’s true. This was the first project plan PlatinumGames ever brought to Nintendo. It started out with an order from Minami2, saying “Think up a plan to bring together world famous characters with Nintendo characters at its centre, appearing all in one game.”2. 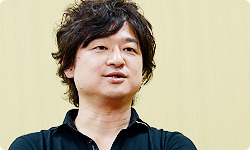 Tatsuya Minami: CEO and President of PlatinumGames. If I could just fill in the background here, about half a year before we got this project plan, there was a period where I was very interested in PlatinumGames. Around the same time, I happened to be introduced to President Minami by an acquaintance. Was that the first time you had met PlatinumGames, Yamagami-san? That’s right. We only introduced ourselves that day, but a little while later, President Minami contacted me to say, “I’ve got an interesting idea.” And this was the plan that he showed me. Sadly, we can’t show pictures of that plan today. So that’s the background on the project. When you received the order internally, what did you think, Kamiya-san? I really loved Wai Wai World3 and Famicom Jump4 for the Famicom (NES). There are a lot of all-star games featuring characters from various media, and I think it’s really moving and inspiring to be able to transcend the original games by having those characters interact. 3. Wai Wai World: Konami Wai Wai World. An action/shooting game released for the Famicom in January 1998, featuring various main characters from Konami games of the day.4. Famicom Jump: Famicom Jump: Hero Retsuden. An action RPG for the Famicom released by Bandai in February 1989. It is a crossover game featuring many popular characters from the manga publication Weekly Shonen Jump, released to celebrate the magazine’s 20th anniversary. I bought Famicom Jump for JoJo5, but the main characters come and go, so you couldn’t always play as your favourite character. So I wondered if there was some way to please everyone by letting them play the whole game as their favourite character.5. JoJo: JoJo’s Bizarre Adventure. A popular comic series serialised in Weekly Shonen Jump beginning in 1987, which is still popular today and has spread to various media including a TV anime series. Written by Hirohiko Araki. In that way, Smash Bros.6 is very well done. You can play as your favourite character, and as it is, I think that’s a completed form of that type of game. So when I wondered what I should do with this one, I decided “Why don’t we just bring out all the characters at once?”6. Smash Bros: Super Smash Bros. series. A fighting game series, with the first game released for the Nintendo 64 system in Europe in November 1999. 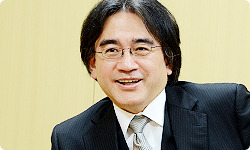 The game was developed by HAL Laboratory, Inc. where Satoru Iwata was President, and he also helped as programmer for the game. “All characters should appear at all times”? Yes, that was the start of this project. And from there we had a lot of ideas about just what we could do with a lot of characters there at once. The basics of the project never really changed after that. It’s amazing just how much this description written here matches the finished product. Which is a really unusual thing for project plans that I write. Yes, I think it’s a first. You’ve got the characters, the visual concept and the core of the game. All you have to do from here is just make it. It says Unite Morph7 here. You were already clear on that.7. Unite Morph: An attack that allows you to combine the powers of the superheroes and change them into different objects. If you add more heroes to your unit, you can dramatically increase the power of a Unite Morph. I got hints for Unite Morph from children’s books I read as a child. We Turned Into Monsters8 was a story about animals coming together to become a big monster. And there’s Swimmy9, which is in school textbooks. 8. We Turned Into Monsters (Kaibutsu Ni Nacchata): A children’s book written by Yasuko Kimura. Trying to confront a monster that lives in a mansion, animals in the forest cling on to each other so they look like a giant monster. However, they get so engrossed in getting as close as possible to each other that they can’t come undone. Eventually the animals turn into a real monster that ends up living in the mansion.9. Swimmy: A children’s book written by Dutch author Leo Lionni. The main character is a single black fish named Swimmy, who plays the role of the eye, after joining together with red fish to form the shape of a giant fish to scare off their enemy, the tuna. That’s the one where he says, “I’ll be the eye!” and they form a huge fish, right? That’s right. As a kid, the idea that small, separate things could join together and become strong was really exciting for me. I feel like that’s where the core of this whole project came from. That brings us back to what we discussed in the first part. Those old memories lead to inspiration. Yes. It’s actually scary just how much of that is all laid out even in the project plan. 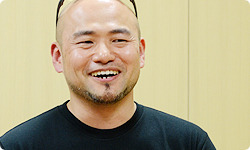 Most times, Kamiya’s thought process begins with a visual, so he doesn’t often have the core of the game in his head. That usually comes later. So this project began much differently from most others. 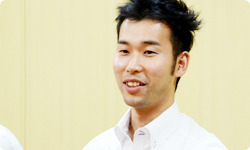 Yamagami-san, what did you think about this project the first time you heard about it? That is unusual for you, Yamagami-san! That must not happen very often. Setting the contents of the game aside, I’ve learned from experience that trying to squeeze in so many characters into one game, to the point where they practically change shape, was impossible. Right! (laughs) So when the plan was proposed, I said “This is impossible” right on the spot. So the project was shelved for a while. So the plan to mix different characters stopped there. That’s right. Several months later, after many twists and turns, we were contacted with a plan that didn’t use characters through our Licensing Department, which serves as the contact for third-party companies. I didn’t know of it, but (Shinya) Takahashi-san10 called me over and showed me a demo, saying, “Come see this! It’s really interesting.” I knew the moment I saw it that this was that idea from PlatinumGames. 10. 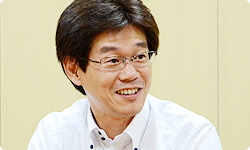 Shinya Takahashi: Managing Director of Nintendo, General Manager of Software Planning & Development Division and General Manager, Software Planning & Development Department. Appeared in Iwata Asks: Wii Street U powered by Google. Yes. I explained the situation to Takahashi-san then, and said, “You need to let me do this.” And that was the real beginning of everything.